The Prince of Wales and The Duchess of Cornwall hosted a reception for British Oscar winners tonight to celebrate the work and accomplishments of British filmmaking. During the reception, which was held at the St James’s Palace State Apartments in London, Their Royal Highnesses met guests including Academy Award winning actors and actresses as well as those awarded Oscars for their work behind the camera, including directing, visual effects, sound mixing, costume design, hair and make-up. The titles for which the guests are recognised span more than 45 years of film production. The reception was also attended by Academy President Cheryl Boone Isaacs, Academy CEO Dawn Hudson and members of the Academy’s Board of Governors. The Academy of Motion Picture Arts and Sciences is a global community of more than seven thousand of the most accomplished artists, filmmakers and executives working in film. 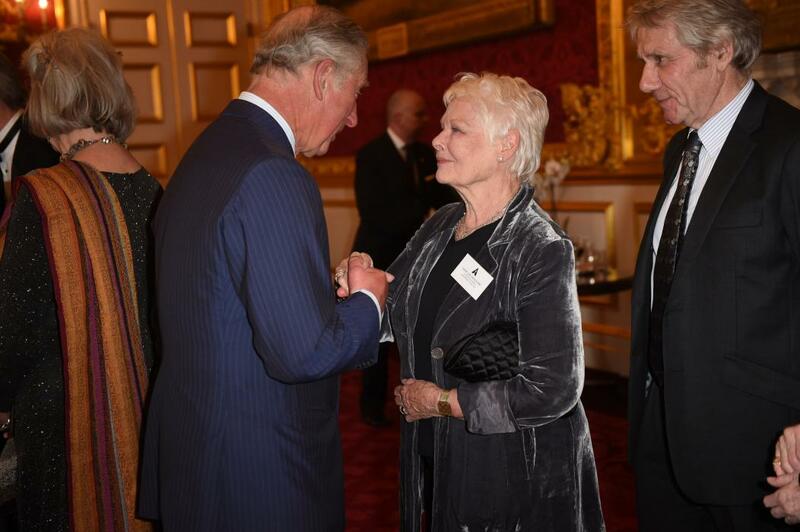 The Prince and The Duchess met actors and actresses including Sir Michael Caine, Dame Judi Dench, Colin Firth and Emma Thompson during the evening.